We are one stop promotional place for businesses like yours, we understand it takes time and money to drive from embroidery shop to screen printer to sign shop to get all your business needs. Well you don't have to with us, we can make you beautiful banners, signs, vehicle graphics, window graphics for your storefront, decals that you can give away to your customers, A-frame sign for that sidewalk advertising and much much more, and while you are here we will take care of your business apparel, embroidered or screen printed and you will be ready to go without driving around looking for different good places to go. We serve businesses of any size from one person to thousands. We utilize only the latest in technology in embroidery, screen printing and vinyl signs and graphics printing. Business from all over greater Seattle area have been very pleased in working with us and we want you to have a good experience as well. Contact us today, don't wait. Using only top of the line equipment we produce exceptional quality product, your satisfaction is guaranteed. 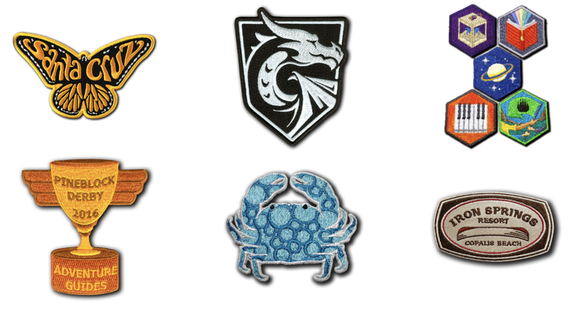 We have done embroidery for almost a decade and sure have learned a lot over the years. We will take your project from A - Z with the outmost quality and communication. Signs and vinyl graphics are a great way to show your business. We provide many different services here, we can do vehicle graphics, flat building signs, storefront graphics, A-frame signs, retractable banners, outdoor solid and mesh banners, real estate signs and many many more. If there is something you need and you don't see, send us a message chances are we can get that for you. We do have product available that is not on our website.